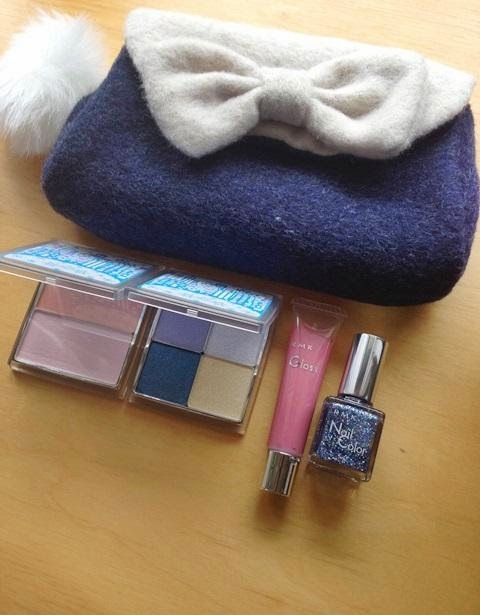 This year, RMK is releasing two holiday makeup kits instead of their usual one. The Christmas Kit 2014 A and B will retail at 8300yen each. 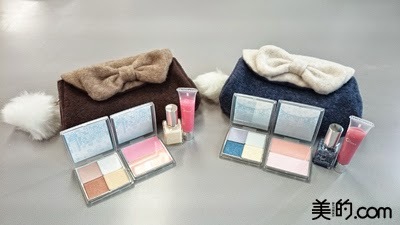 Each set includes an eyeshadow quad, cheek duo, nail polish, lipgloss and pouch. The eyeshadow and cheek cases feature illustrations inspired by Manhattan in winter. 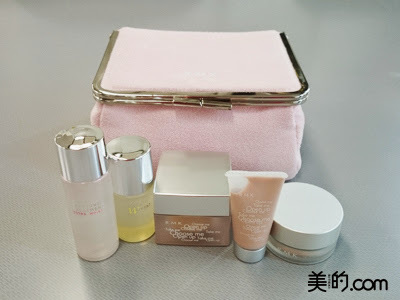 There is also a Christmas Base Make Kit 2014 (8000yen) which includes the cream foundation, makeup base, face powder, treatment oil and lotion. Pics from Biteki. The official release date is not stated but these can be reserved starting 24 October. They should be launched in early November. Pic below tweeted by Tomoichi. This looks like another pass for me. What's up with the onslaught of fugly pouches in this year's Japanese holiday coffrets? !